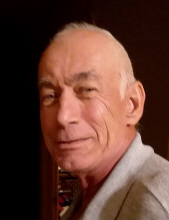 Carl Wayne Spencer, 64, of Findlay, Illinois passed away at 10:45 p.m. on Friday, March 22, 2019 at home surrounded by his loved ones. Carl was born January 4, 1955, in Shelbyville, the son of John and Doris (Rickey) Spencer. He worked at Caterpillar in Decatur for 43 years before retiring in 2017. Carl was a member of the NRA, the Windsor Gun Club and was a Certified NRA instructor. He enjoyed hunting, riding his motorcycle and volunteering for friends benefits. Carl is survived by two sisters: Nellie Stevens of Mt. Zion and Pamela (Jack) Howell of Findlay; brother, Rick (Janet) Spencer of Katy, TX; children: Eric (Colleen) Spencer of Port Huron, MI, Stuart Spencer of Windsor; two grandchildren: Kyle (Elizabeth) Spencer and Tristan Spencer; best friend, Suzi Nolen of Sullivan and several nieces and nephews. He was preceded in death by his parents, John and Doris Spencer; brothers: Jack and Donald Spencer and sister, Janet Pedigo. A Celebration of Life Memorial Gathering will be held from 11 am – 3 pm on Friday, April 12, 2019 at the VFW Post #6410 in Sullivan. Memorials may be given in his name to St. Jude Children’s Hospital. Lockart-Green Funeral Home in Findlay is assisting the family. Family and friends are invited to light a candle or share a story in Carl’s honor at www.lockartgreenfuneralhome.com. To send flowers or a remembrance gift to the family of Carl Wayne Spencer, please visit our Tribute Store. "Email Address" would like to share the life celebration of Carl Wayne Spencer. Click on the "link" to go to share a favorite memory or leave a condolence message for the family.